In light of recent events at Google, which made headlines after letting go of an employee who openly challenged hiring practices, as well as Deloitte’s elimination of its employee affinity groups for women and minorities this summer, we would like to highlight how one of our clients’ ongoing commitment to cultural diversity has benefited their organization as a whole, not just their marketing endeavors. RSM, an international financial services company, benefits in several ways from their cultural diversity initiatives, and ASL Productions is proud to help them highlight their efforts through the use of video production. ASL Recently joined RSM at three conferences geared toward the hiring of minorities in the accounting field (NABA, ALPFA and ASCEND). ASL was on site with a two-fold mission: to produce a dynamic video showcasing RSM’s commitment to cultural diversity, and to add an experiential component to their career fair booth, which helped the company meet qualified candidates, and drew a large crowd of onlookers as well. For the experiential application, ASL filmed applicants on a small stage where they were asked questions about “the power of being you.” Using a Black Magic Ultra Mini Studio Recorder, ASL recorded a low-res video of the candidates, then provided each candidate with a copy of their video interview on a thumb drive, allowing the candidates to review their own performance. 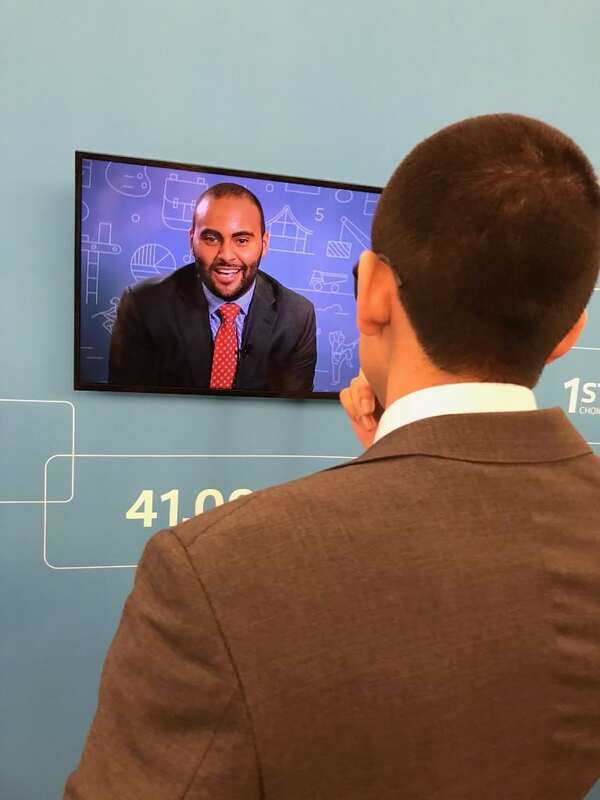 After the career fair portion of the conference, RSM executives watched each video and chose a candidate who best exemplified “the power of being them.” ASL then took a high-resolution copy of the winning video, edited it into a 2 minute piece on site, which was then broadcasted at the conference dinner. The winner also received $1,000 from RSM and a seat at their table during the dinner. In addition to their efforts at these conferences, RSM’s cultural diversity initiative includes 11 different employee network groups (ENGs). These network groups have a diverse set of functions. In addition to helping minority employees connect with each other, they help the company’s primarily Caucasian partners develop a better understanding of under-represented cultures within the company, and allow talented employees from these groups gain greater visibility and opportunities for growth. One example of an RSM ENG is the Asian employee network, called “Inspirasian.” Being a part of Inspirasian keeps Asian employees connected with each other, which maintains their feeling of connection with the company at large. Additionally, group members are given the option to attend the group’s career fair, which for Inspirasian members meant a trip to the 2017 ASCEND conference in Houston, where RSM CEO Joe Adams was a keynote speaker. For conference attendees, the opportunity to build closer relationships with C-suite executives is invaluable. And while ENGs have several benefits to the individual employee, they also provide a launching pad for the company to explore business and networking opportunities with a greater diversity of clients. The benefits of showcasing employment practices aren’t exclusive to companies with specialized initiatives though. ASL commonly works with HR departments to produce content that can be leveraged for both recruiting and brand marketing alike. Our work in this vein includes projects with Nielsen, Goldman Sachs and BillTrust. Check out our work in this category here, and reach out to ASL today to find out how we can help you turn your employment program into a marketing tool.